On Monday, Oct. 2, 13 high-performing municipalities received recognition in the third annual National MS4 Stormwater and Green Infrastructure Awards. These awards celebrate administrators of municipal separate storm sewer systems (MS4s) that perform beyond regulatory requirements. Developed and introduced in 2015 by the Water Environment Federation (WEF; Alexandria, Va.) in cooperation with the U.S. Environmental Protection Agency (EPA), this year’s distinctions were awarded to the winners during the annual Stormwater Congress Luncheon at WEFTEC 2017 in Chicago. The awards recognize performance in the categories of innovation and program management as well combined high scores in both categories. 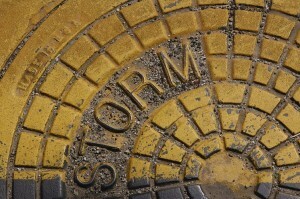 Applications for the National MS4 Stormwater and Green Infrastructure Awards are reviewed by a broad subcommittee of water sector experts. Phase II, which encompasses smaller storm sewer systems outside of heavily populated urban areas. This year’s recipients were awarded silver or gold certificates based on their level of performance in innovation or program management. For more information about the MS4 recognition program, visit www.wef.org/MS4awards.